Until 24 May Diet Coke and essie have teamed up to give Boots shoppers the chance to pick up a 500ml bottle of Diet Coke and an essie nail polish in one of three shades – Cocktail Bling, Fiji or Fishnet Stockings at the special price of £5.99 (standard price £9.39). 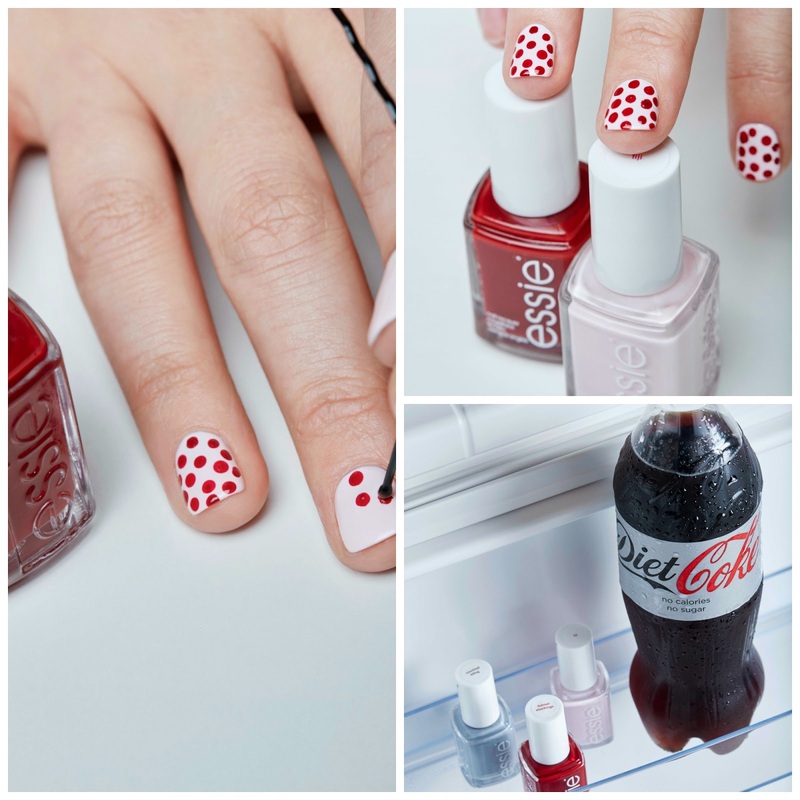 If you fancy being a little more experimental with your mani, Diet Coke and essie have come up with some quirky and fun ways to jazz up your nails. Some of the textured nail looks need a super steady hand, but you can achieve a sophisticated textured look with one tool you’d never dream of: your Diet Coke bottle lid. Simply apply a base level of polish and let it touch dry. Then lightly brush another polish into the ridges on the side of the bottle lid. Once you have done this, it’s time to get creative. You can create track marks by pressing down on the nail (try creating a track mark down the middle of your nail) or rolling the lid across the nail. 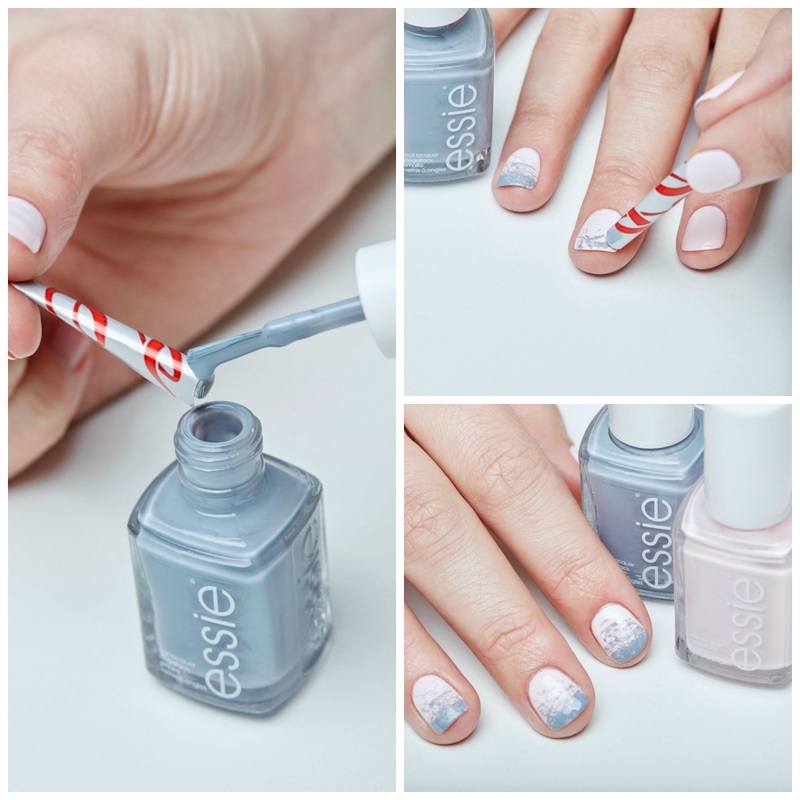 If you’re a fan of ombre hair, try the trend out on your nails. All you need is two of your fave polish shades and a Diet Coke bottle label. Here they’ve used essie’s Fiji shade as a base. Let it touch dry for about 3 minutes, then roll up the bottle label into a tight tube and paint the Cocktail Bling polish onto the top of the tube. Then blot starting at the tip of the nail. Give the tip more heavy coverage and then blot lightly up to the middle of the nail to create the ombre effect. Use a kirby grip to make perfect dots on your nails. Here they’ve used essie nail polish in Fishnet Stockings – the bold shade contrasts nicely against the pale essie nail polish in Fiji to give real impact. These essie polishes are available on promotion at Boots now (buy a 500ml Diet Coke + essie polish for £5.99 while stocks last). 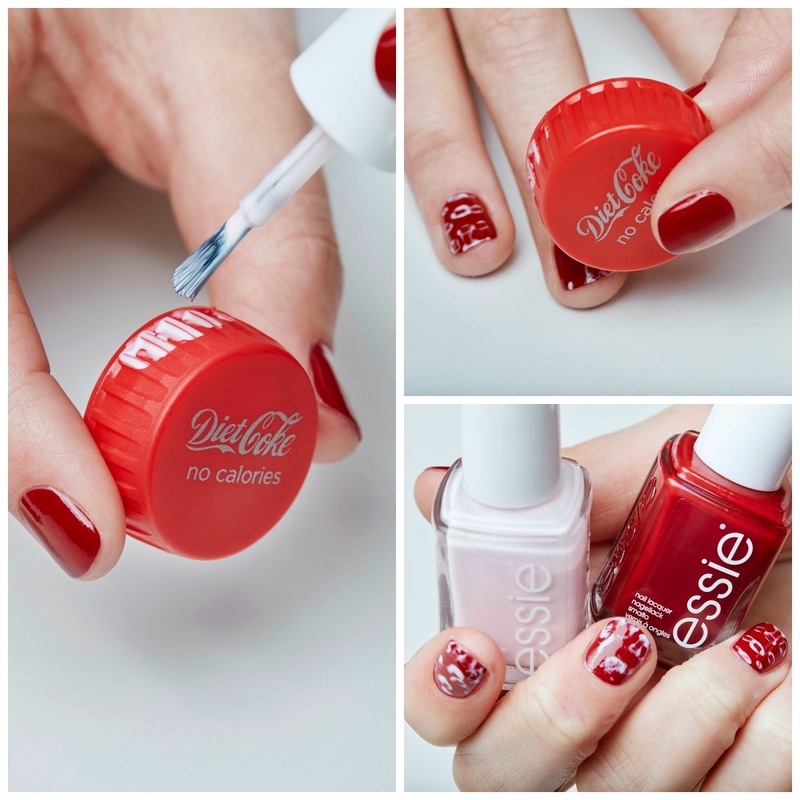 Diet Coke + essie would love to see photos of you trying out our Diet Coke + essie nail polish hacks using your 500ml Diet Coke bottle and the essie nail polishes. Share the photos with @DietCokeGB on Twitter & Instagram, use the hashtag #DietCokebeautybreak and they’ll send a ‘Like’ your way.